Every year I think, "Start your Christmas model early this time", every year I forget. This is the new, organised me, with the lists, and the planning and the thinking things through. 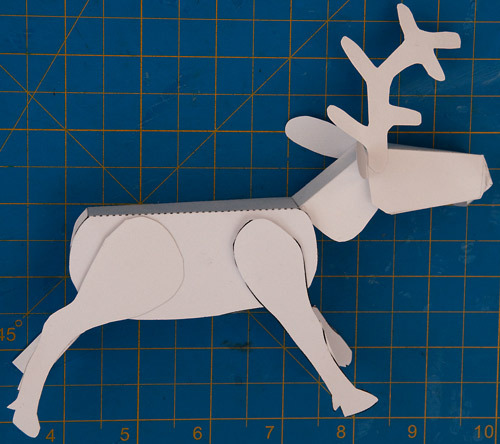 So, with that in mind, here is the early stage of a model which is to feature Santa riding ‘pon the back of a reindeer. Rudolph presumably. Some of this is done on the computer (you can just make out the printed dotted lines) some is freehand. I’ll be working on the Santa character riding on his back next. In the meantime, I’ve added blog functionality to the robives.com website. I’ll be linking to robives.com from Workshop Notes for a bit, while the website takes shape. Meanwhile, if it gets to November and I haven’t siad that I’m starting work on a Valentine’s Day project, send me a reminder.